Two of Toyota’s best-selling models are the Corolla and Camry sedans, but many people might not know the difference between the two. Here, you’ll find a comparison of both sedans to help you decide which one is right for you. The most obvious difference between the Corolla and Camry is size. The Camry is the larger of the two models and fits in the mid-size sedan segment, while the smaller Corolla is considered a compact car. Inside the Camry, there is just over 100 cubic feet of space for five passengers. In the Corolla, this drops to 97.5 cubic feet. However, back seat passenger will find there is more legroom in the Corolla than in the Camry since the Camry comes with a larger trunk than the Corolla. The Corolla is smaller than the Camry, so it comes with a lower starting price. This makes it a good choice for many first-time buyers. However, no matter which model you choose, both come well-equipped, so you will get lots of features for your money. For buyers looking for upscale features, there are more available features to choose from on the Camry than the Corolla. Features like red leather upholstery and tiger eye wood trim make the Camry stand out. However, the Corolla still has its fair share of premium materials and soft-touch materials. Both the Camry and Corolla come with advanced technology, even on the base trims. Standard features on both include Bluetooth® connectivity, a touchscreen system, a six-speaker stereo system, and a USB port. The Camry offers a larger base touchscreen along with the Toyota Entune system. 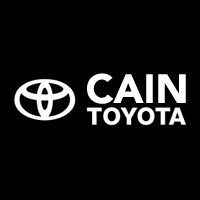 Now that you know a bit more about the 2018 Toyota Camry and Corolla, come visit us at Cain Toyota and you can test drive both to help you make your final decision.